Save a trip to the tool bag with Klein Tools’ Electrician’s Multi-Tool featuring seven of the most common functions. Without having to open the tool, you can easily access the full-sized, drop point knife and both the slotted and Phillips screwdrivers. When the multi-tool is open, you’ll find a wire cutting, hybrid plier with a wide, knurled head designed for easy wire grabbing and twisting. The plier also has three stripping notches for both stranded and solid wire. 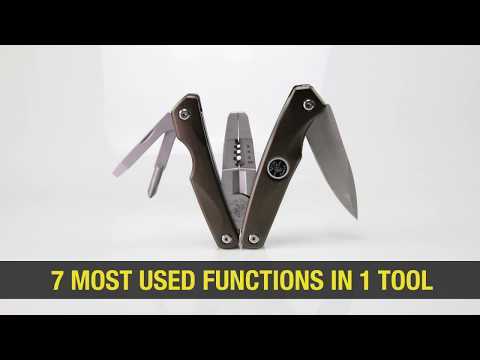 Klein’s multi-tool is seven of the most used tools in one, making it the perfect everyday carry tool.